At Respect Food, we all about finding tips and tricks to help the fight against food waste. There are so many things you can do at home, from shopping little and often, to learning the correct way to store fresh produce, to teaching your kids where their food comes from. As protecting our planet becomes ever more urgent, cutting-edge technological innovations are being developed to fight this battle on a larger scale: electron beams can now sanitise crops, while blockchain technology is being used to help consumers track the origins of supermarket turkeys! When it comes to stopping everyday food waste, there are some basic tools and appliances every eco-savvy chef should have in their arsenal and a handful of exciting new innovations that make getting the most out of your groceries easy as pie. If you can’t eat all your fruit or veg when it’s fresh, a handy thing to have is a dehydrator! Grundig’s new Fast and Healthy oven technology has this function and so many more. It quickly vaporises the liquid in fresh food so it can be stored for much longer. 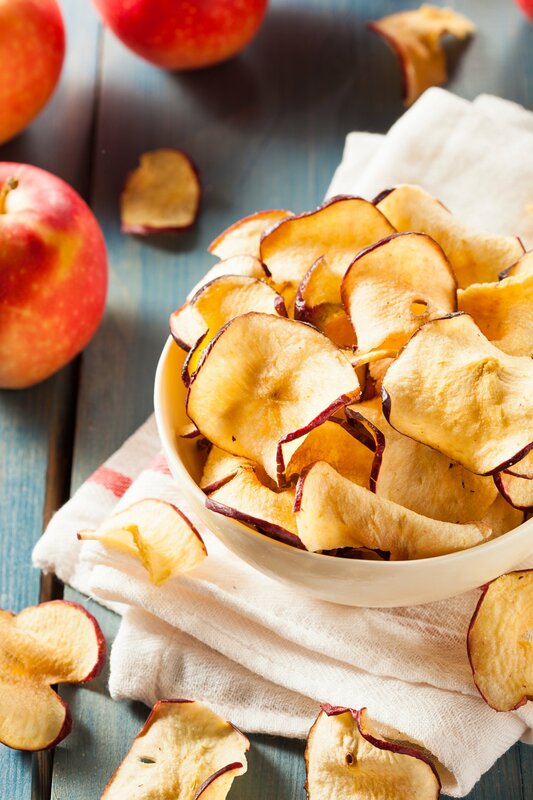 Once you realise how many delicious snacks you can make from a dehydrator, it will be hard to stop! Try making your own beef jerky, healthy fruit leather, or preserving beautiful seasonal wild mushrooms. You could also try making Kale crisps for a crunchy, satisfying and healthy snack! Another key item to have is a food processor or blender. This is a great tool for making something of overripe fruit and veg: just blitz it into a quick and fresh soup or smoothie! It’s also perfect for making breadcrumbs out of stale bread. Then you can turn them into everything from fish cakes, to veggie burgers to meatballs! You’ll also find it endlessly useful for making quick dips and sauces from veg on the turn. Juicers are a wonderful way to get the best out of fruit and veg before it goes to seed. 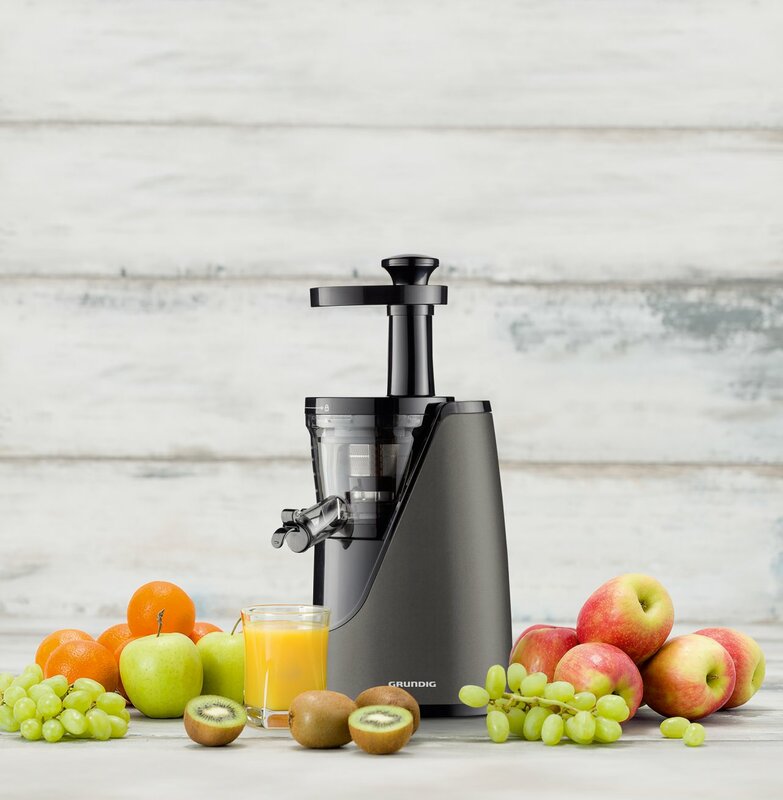 Grundig’s Slow Juicer is designed to get even more from your produce, by using a slower rotation speed than conventional juicers. This preserves more of the fiber and nutrient-rich pulp, while also getting more juice from your produce! You might not call it technology, but having a good set of containers is key to a low waste kitchen. A cost-effective (and eco-friendly) option is to hang onto big glass mason jars. You can also now buy produce saving boxes, that filter air and keep your veg, fruit and salad leave crisp for much longer. You could also try Grundig’s new Vitamin Care Zone Technology which helps fresh fruits and vegetables maintain their vitality for longer inside the fridge. 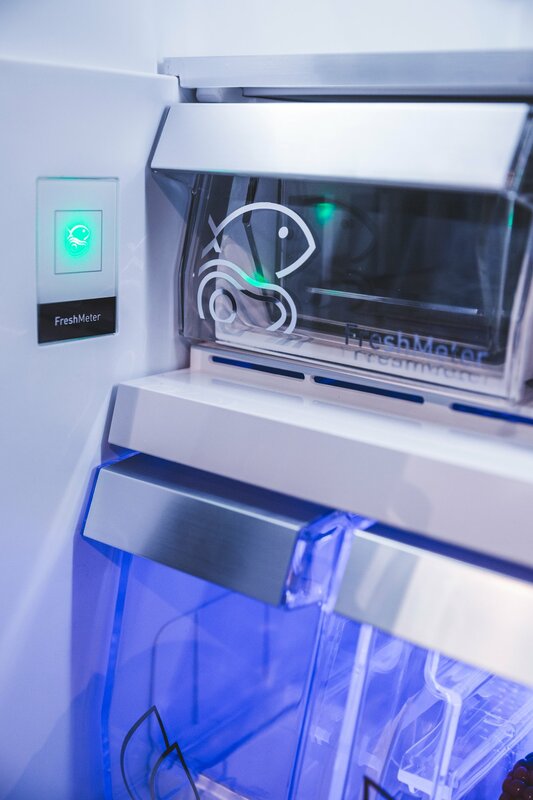 A blue light located near the crisper enhances the process of photosynthesis, prolonging the life of your fresh fruit and vegetables. 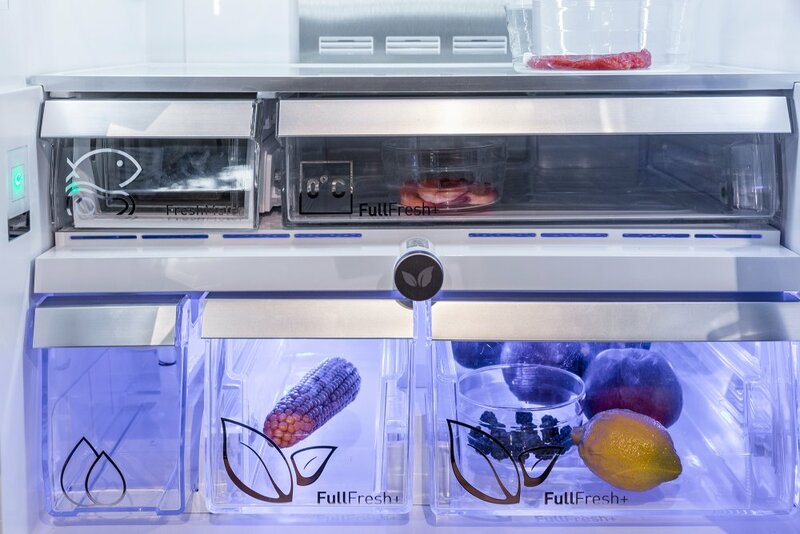 In addition, Grundig’s FullFresh+ technology keeps your produce fresh for up to 30 days, by reducing condensation and improving airflow in your crisper. Talking of fridges and freezers, it’s shocking how many foods you can freeze. Next time you make way too much stew or crumble, try freezing in portions for a quick homemade super on a night when you’re too tired to cook. You can freeze everything from broth to bread, meaning good ingredients need not be tossed if you haven’t the time to eat them fresh. Learn more how to get the most of your fridge and freezer here. Fridge freezer technology has come a long way. Grundig has also created The Fresh Meter, a fridge that can warn you when your meat or fish has expired, by sensing its gas emissions! This saves you from tossing things based on the supermarket label alone, while also keeping your family safe. 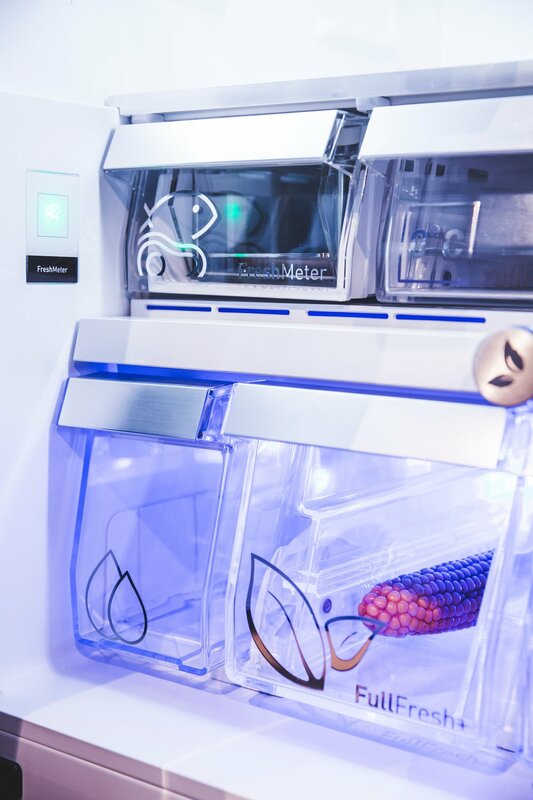 It sounds like the stuff of science fiction, but it’s just one of the many exciting innovations that are making it easier to cut down on food waste and help home cooks protect our planet.